Christmas is over and I had an Amazon gift card burning a hole in my cyber pocket. I’ve been wanting to buy a rice cooker and I’ve read and heard that they can be used for lots more than cooking rice. So not only did I order a rice cooker, I also ordered a recipe book, full of recipes for this particular brand of rice cooker. The book says right on the front cover that the recipes are “tried and true”. What does “tried and true” mean to you? To me it means that every recipe in this book (hundreds of them) has been tested by the author or her agents. Am I wrong? This morning Lee texted me from the barn and asked me to make hot cereal for breakfast. Our temps are in the single digits. I remembered when paging through the recipes in my new book I saw a couple of oatmeal recipes, so since I had some time before Lee finished chores I decided to try the one I found using steel cut oats. Oh my gosh! I put the ingredients into the rice cooker bowl and let ‘er rip. A few minutes later I heard a noise. It was the kind of noise that needs to be investigated quickly. Even though I was quick, I didn’t avoid THE MESS. The oatmeal was boiling over. It also boiled into. I managed to finish it by leaving the lid open. I ended up with a very small amount of oatmeal for us to eat, and a lot of oatmeal for me to clean up. It was all over the counter. It was running down the sides of the cooker. It had spilled into the heating area and burned there. It was under the lip of the lid. I blame the cookbook author. I followed her instructions to the letter. I did google my predicament and I found that I’m not the only sucker trying to make oatmeal in a rice cooker and failing. The whole “tried and true” phrase pulled me in and led me astray. The world is full of liars! I’m going to stay with rice for a while. I’ve learned my lesson and I’m gun shy. These are a variation of Pasties. I had a recipe for pasties and since I hate making any sort of rolled out dough I used crescent roll dough and they turned out nicely. The beef filling is similar to the recipe I started with but I made some changes to suit my needs. Mix filling ingredients and set aside. Remove dough from cans and unroll. This is where you need to get a little creative. I made 6 pies with these ingredients, so you need to have 12 square or rectangle pieces of dough. seal all of the seams of the dough from one can. Spread and flatten the dough and cut it into 6 fairly even squares. You’ll have to cut and piece a bit. Mine were more rectangular, about 4×5 each. Repeat with the second can. Divide the filling onto 6 of the dough squares. Cover each with another square of dough. Roll and pinch the edges and place on a cookie sheet. Bake at 350 degrees for 45 minutes. Serve warm with brown gravy if desired, or with grainy mustard. Notes: Add a grated carrot if you like. If you want more veggies you can cut the ground beef to 8 oz, and double up on the grated veg. We had a busy summer. Busy and hot! We used the AC a lot this summer. This morning we woke to cool, crisp air and it put me in the mood to cook, preferably comfort food. 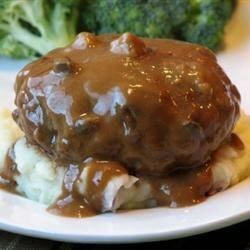 One of my favorite crockpot meals is Salisbury Steak. We love it. It makes a perfect hearty meal. The recipe I use came from allrecipes.com. I like to serve it with mashed potatoes, rice, or noodles. 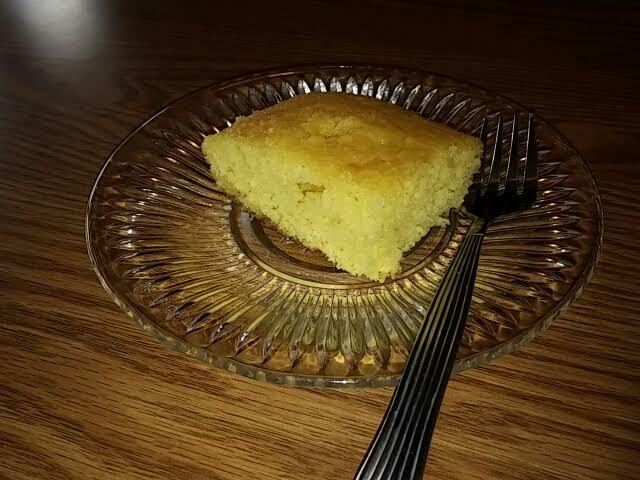 I also baked a lemon cake. No recipe needed. Mix up a lemon cake mix according to pk directions. Plop tablespoons of lemon pie filling (1 can) evenly onto the batter. Bake. Poke holes in the cake with a wooden spoon handle. Pour on a glaze made with 2 cups powdered sugar, 2 tablespoons oil, and 1/3 cup orange juice or lemonaide. Done! Mix well and form into 8 patties. Heat 2 tablespoons oil in skillet, and brown patties well. Transfer browned patties to slow cooker. Pour over the patties in slow cooker. Cook on low for 4-5 hours until patties are done. Eating lighter is usually a priority after all the heavy foods of the holidays. There is a delicious vegetable soup that pretty much anyone who has ever dieted has made or at least eaten. The recipe has been around for decades and it has many names. I just call it Healthy Veggie Soup. The nice thing about making this soup is that you can put in the veggies that you like, and leave out the ones you don’t. It’s a very flexible and forgiving recipe. The idea is to use this soup to fill you up. You can’t live on it because it has no (or not much) protein and hardly any carbs. It’s not a balanced diet. It’s perfect for lunch, snacks, whenever you feel hungry and don’t want to eat junk. And you’ll definitely get all of your vegetable servings! *To make the soup, use a huge soup pot. You’ll need at least 6 kinds of vegetables, fresh or frozen. Cabbage should be one of the veggies. 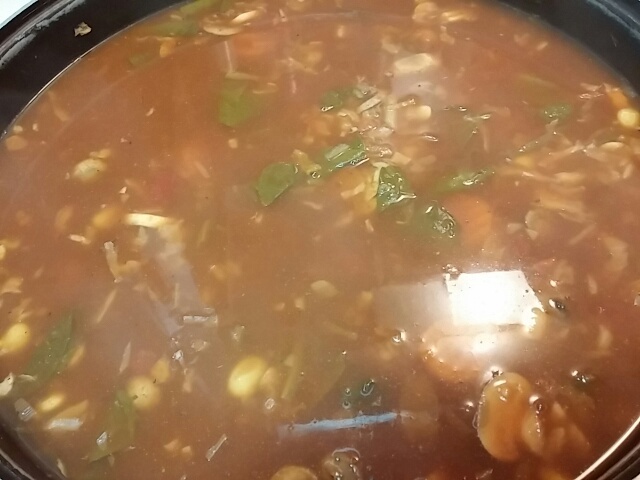 Use broth or stock, beef or vegetable work best plus a large can of crushed tomatoes To season the soup you can use any of these dry mixes: onion soup mix, ranch dressing mix, vegetable soup mix, or just season the soup to your taste. Just fill up your soup pot with all of the goodness and simmer until the vegetables are tender. Eat it all week, or freeze some for later. Sorry for the lack of precise measurements. It’s all up to you and your taste. Choose from this list of vegetables. Don’t use starchy veg. I was browsing through my zillions of recipes the other day and found this one which I remember fondly, but haven’t made in years. I have all of the necessary ingredients, so I decided to make it. OK. 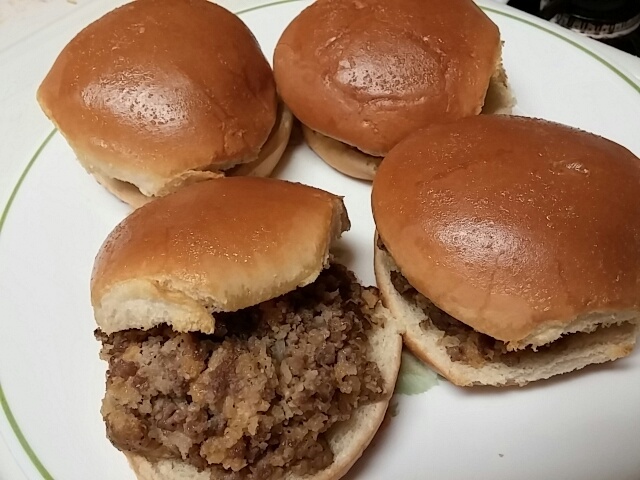 I didn’t have any crusty rolls so I had to use hamburger buns, but they worked fine. I don’t have any idea why these sandwiches have such a silly name, and I can only give vague credit to a long ago farm wife who shared her recipe in a farming publication. 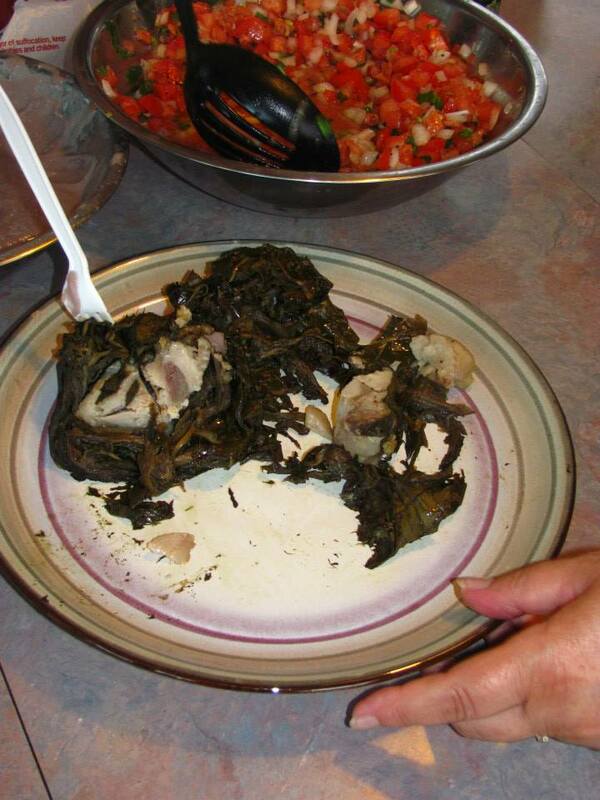 I’ve google searched ’til I’m blue in the face and I can’t find any mention of this recipe. Pee Wee sandwiches freeze well, and this makes a big batch, so make them all up and wrap the extras individually and freeze them. Brown meat, add onion. Fully cook. Add bread crumbs and simmer for 5 minutes. Add cheeses and spoon into rolls. Spread garlic butter lightly on inside and outside of buns. Bake at 350 for 10 minutes. We have a family member who has celiac disease so it’s important to offer gluten free options for her Thanksgiving dinner. It’s easy enough to make gluten free turkey, ham, gravy and sides. Desserts have to be made especially for her. Pumpkin pies can be made crustless. 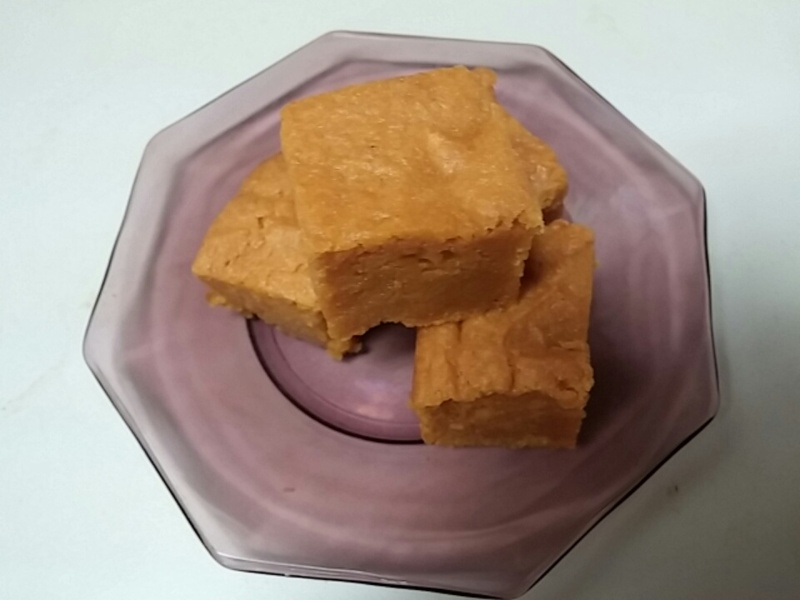 She likes mochi, so this year I’m trying a recipe for Pumpkin Mochi. The recipe doesn’t call for any spices. I made it according to the recipe. It’s pretty good, very rich and sweet. Next time I’ll add some pumpkin pie seasoning and see how it tastes. I might roll the pieces in cinnamon sugar before serving, or flavor some whipped cream with cinnamon. Preheat oven to 350 degrees Lightly grease a 9×13 pan. Mix together remaining ingredients, then combine the 2 mixtures. Pour into prepared pan, bake in preheated oven for 1 hour. Cool before serving. 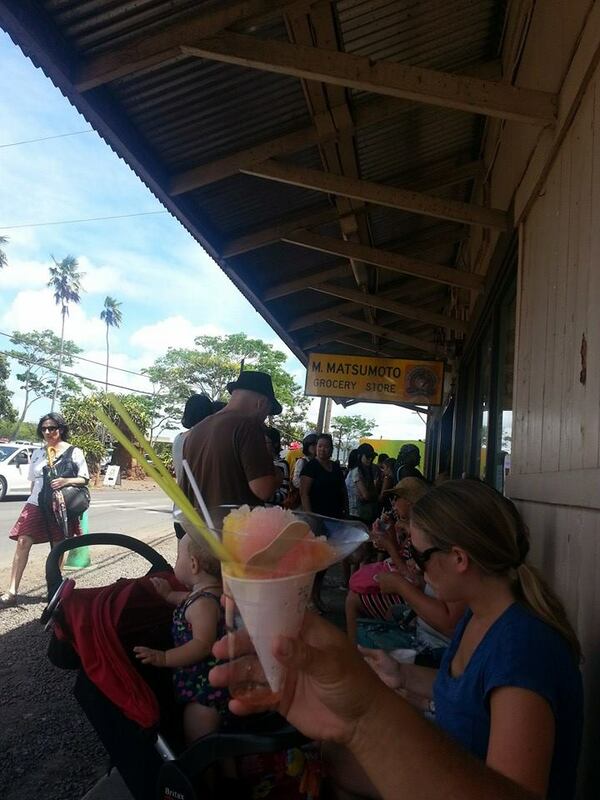 I was so happy to eat some of the foods I remembered from my early years as a child in Hawaii. 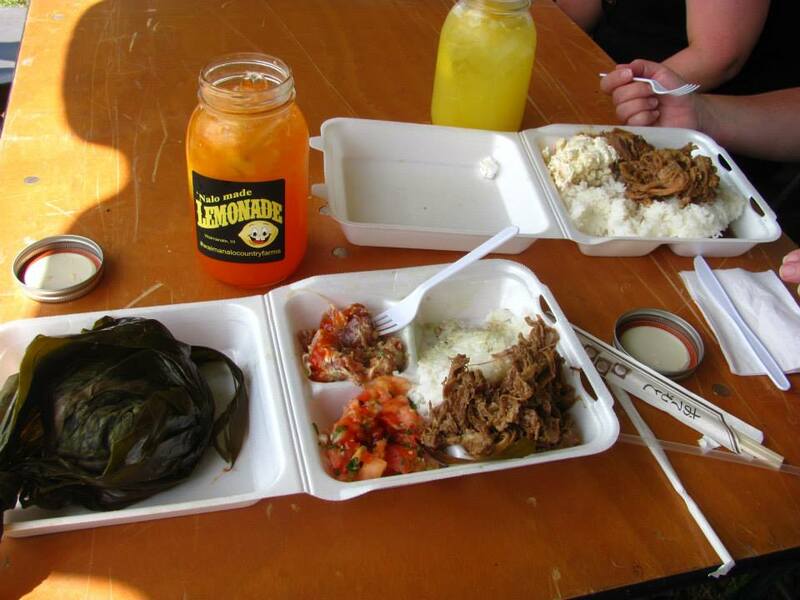 I have 2 good resources for those delicious Hawaiian foods. 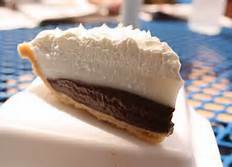 Hawaiian Food Online is an online store where you can buy many of the delicious foods that are found pretty much exclusively in the islands. 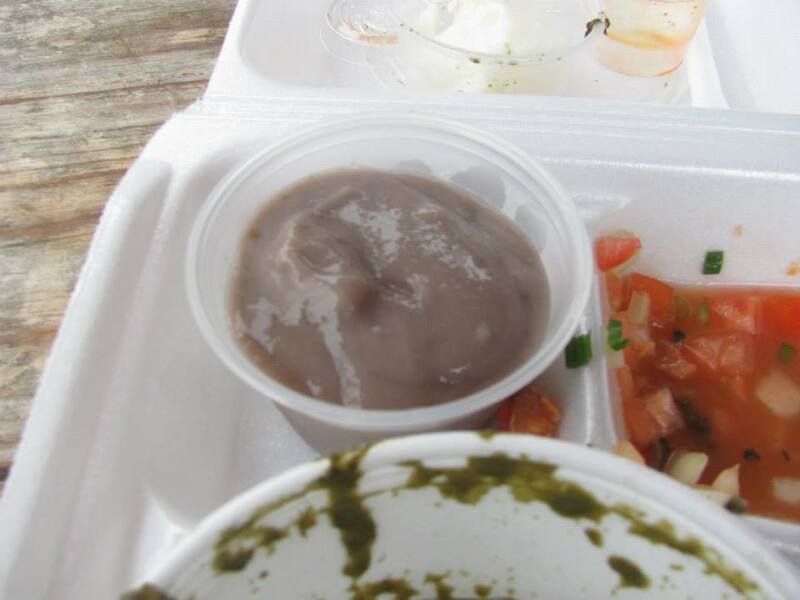 There you can find poi, lau lau, the luau leaves to make your own lau lau, guava and lilikoi jams and jellies, li hing mui, kona coffee, the list goes on. The other website I really like is Cooking Hawaiian Style. Lots of authentic recipes here. Even Zippy’s Mac Salad! 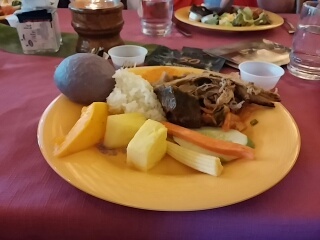 I’ll just tempt you with pictures of some of the foods we enjoyed while we were there last month. Most of these pictures were taken by my son JD. Please do not use them without permission.